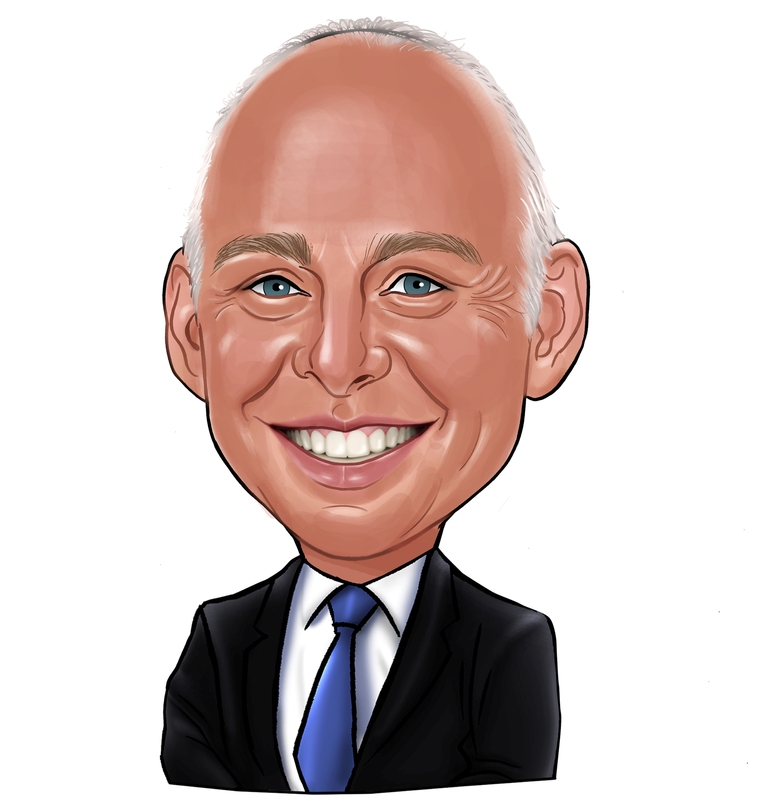 Were Hedge Funds Right About Souring On Avangrid, Inc. (AGR) ? Is Avangrid, Inc. (NYSE:AGR) ready to rally soon? The smart money is taking a pessimistic view. The number of long hedge fund bets went down by 5 lately. Our calculations also showed that AGR isn’t among the 30 most popular stocks among hedge funds. AGR was in 13 hedge funds’ portfolios at the end of December. There were 18 hedge funds in our database with AGR holdings at the end of the previous quarter. Let’s take a gander at the new hedge fund action encompassing Avangrid, Inc. (NYSE:AGR). How have hedgies been trading Avangrid, Inc. (NYSE:AGR)? At Q4’s end, a total of 13 of the hedge funds tracked by Insider Monkey held long positions in this stock, a change of -28% from the second quarter of 2018. 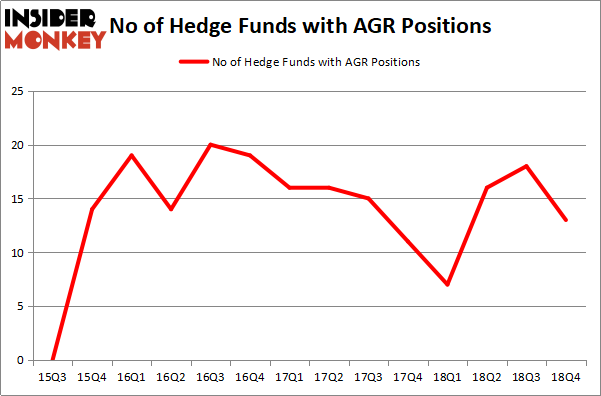 The graph below displays the number of hedge funds with bullish position in AGR over the last 14 quarters. So, let’s check out which hedge funds were among the top holders of the stock and which hedge funds were making big moves. According to Insider Monkey’s hedge fund database, Richard S. Pzena’s Pzena Investment Management has the most valuable position in Avangrid, Inc. (NYSE:AGR), worth close to $107.3 million, corresponding to 0.6% of its total 13F portfolio. On Pzena Investment Management’s heels is Jos Shaver of Electron Capital Partners, with a $76.5 million position; 10% of its 13F portfolio is allocated to the stock. Remaining professional money managers that hold long positions contain Jim Simons’s Renaissance Technologies, Noam Gottesman’s GLG Partners and Cliff Asness’s AQR Capital Management. Seeing as Avangrid, Inc. (NYSE:AGR) has experienced declining sentiment from hedge fund managers, it’s safe to say that there is a sect of hedge funds that elected to cut their full holdings heading into Q3. It’s worth mentioning that Zilvinas Mecelis’s Covalis Capital sold off the biggest investment of all the hedgies watched by Insider Monkey, valued at an estimated $21.8 million in stock, and Dmitry Balyasny’s Balyasny Asset Management was right behind this move, as the fund said goodbye to about $13.9 million worth. These bearish behaviors are intriguing to say the least, as total hedge fund interest dropped by 5 funds heading into Q3. Let’s now review hedge fund activity in other stocks similar to Avangrid, Inc. (NYSE:AGR). We will take a look at Fifth Third Bancorp (NASDAQ:FITB), KeyCorp (NYSE:KEY), IAC/InterActiveCorp (NASDAQ:IAC), and CGI Inc. (NYSE:GIB). This group of stocks’ market valuations are closest to AGR’s market valuation. As you can see these stocks had an average of 32.75 hedge funds with bullish positions and the average amount invested in these stocks was $862 million. That figure was $348 million in AGR’s case. IAC/InterActiveCorp (NASDAQ:IAC) is the most popular stock in this table. On the other hand CGI Inc. (NYSE:GIB) is the least popular one with only 17 bullish hedge fund positions. Compared to these stocks Avangrid, Inc. (NYSE:AGR) is even less popular than GIB. Considering that hedge funds aren’t fond of this stock in relation to other companies analyzed in this article, it may be a good idea to analyze it in detail and understand why the smart money isn’t behind this stock. This isn’t necessarily bad news. Although it is possible that hedge funds may think the stock is overpriced and view the stock as a short candidate, they may not be very familiar with the bullish thesis. Our calculations showed that top 15 most popular stocks among hedge funds returned 19.7% through March 15th and outperformed the S&P 500 ETF (SPY) by 6.6 percentage points. Unfortunately AGR wasn’t in this group. Hedge funds that bet on AGR were disappointed as the stock lost .2% and underperformed the market. If you are interested in investing in large cap stocks, you should check out the top 15 hedge fund stocks as 13 of these outperformed the market.